Size: Inquiries - by email Black "Work Horse" Stainless Steel sink strainer. Fixed post stainless steelbasket with safety rolled edge and neoprene stopper. Includes all nuts andwashers. 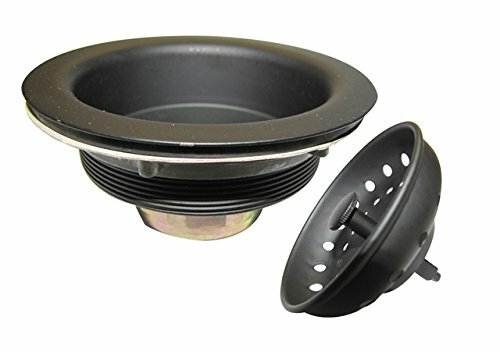 From the Manufacturer Black "Work Horse" Stainless Steel sink strainer. Fixed post stainless steelbasket with safety rolled edge and neoprene stopper. Includes all nuts andwashers.